The soap dispenser by Södahl is part of the Touch collection from the Danish manufacturer. The series with accessories for the bathroom features a simple design and precious metal details in silver or brass. In addition to the soap dispenser the series includes a bathroom tumbler, bathroom bin and toilet brushes. The soap dispenser is made from stoneware and coated with a matt rubber coating. The metal bottom as well as the pumping top set contrasts and give the bathroom accessory an elegant look. 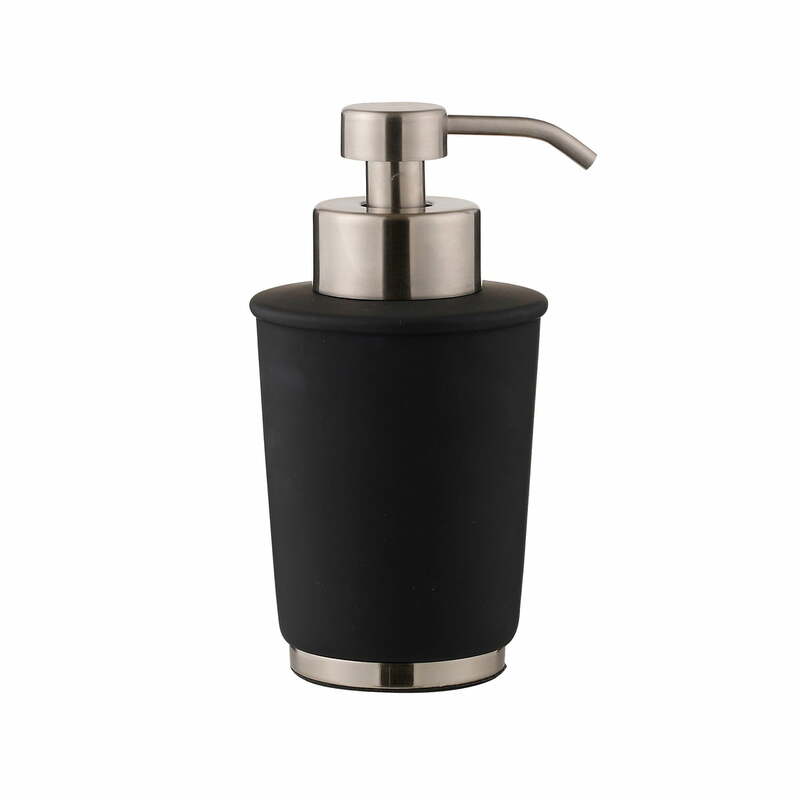 Individual image of the Touch soap dispenser by Södahl in black. The bottom, as well as the dispenser’s top are made from metal in silver or brass and are refined details which make the Touch series so elegant. 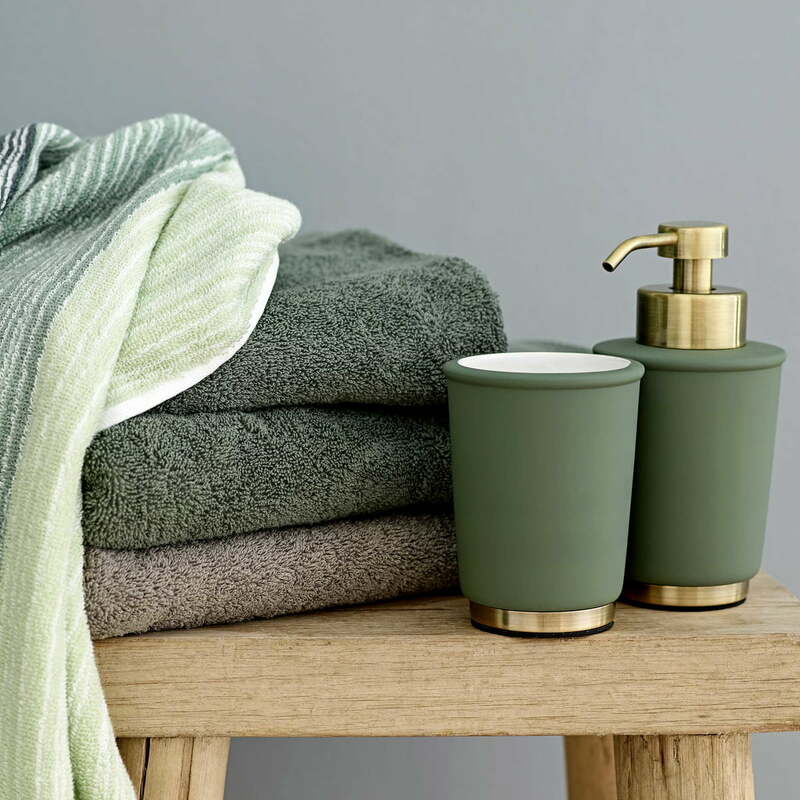 The soap dispenser and the bathroom tumbler from the Touch collection by Södahl are made from stoneware and coated with a matt rubber coating in green.